Hi everyone! 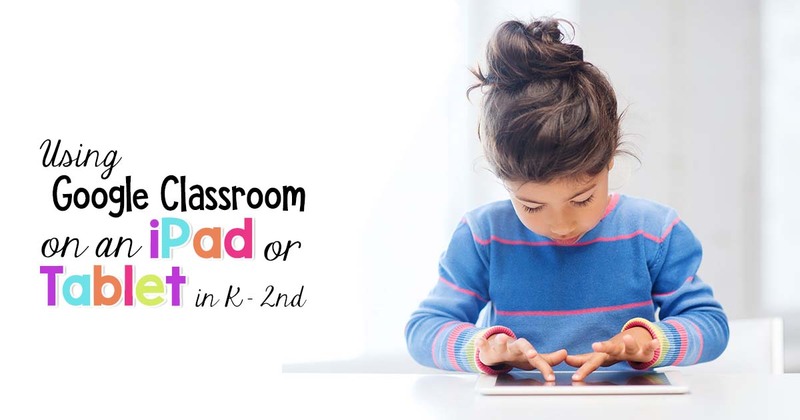 I wanted to share how to use Google Classroom on an iPad or tablet in K-2. 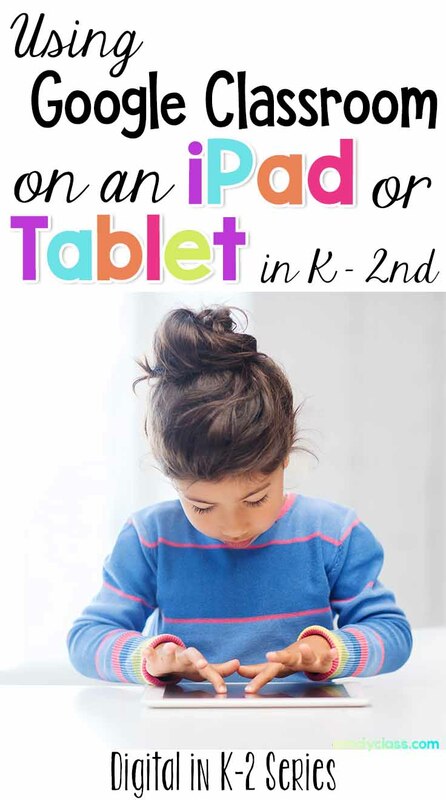 First off, it can seem a bit overwhelming at first to consider even how to set this up on an iPad. At least, it did for me. My mind was boggled. I admit it. I was confused. 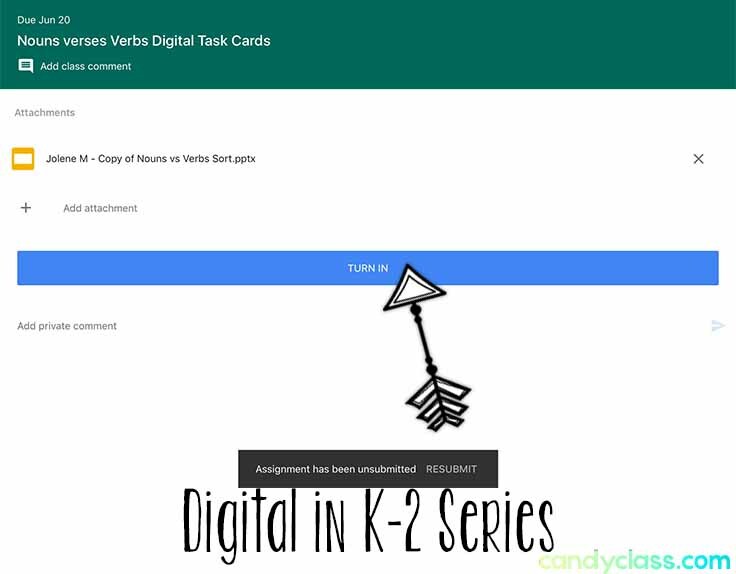 I figured there must be other teachers confused, and I bet you many of us could have let students teach us by simply handing them the device and telling them we needed to use Google Classroom on it, haha! Seriously, young children amaze me at how much they pick up with technology. I am interested to see what they come up with by the time they are all grown up. It probably is going to make all our technology now look like the Middle Ages! My initial fear was pushed aside once I dove into it instead of trying to figure it out in my head. It was actually pretty simple to set-up once I downloaded the appropriate apps. Most of it was intuative. The only thing that is a bit more confusing is if you are not 1:1 with the device and students need to share it. I have a post about that here. First set-up one, and then head there to set-up additional accounts on the same device. Download the Google Classroom App from the app store onto the device. 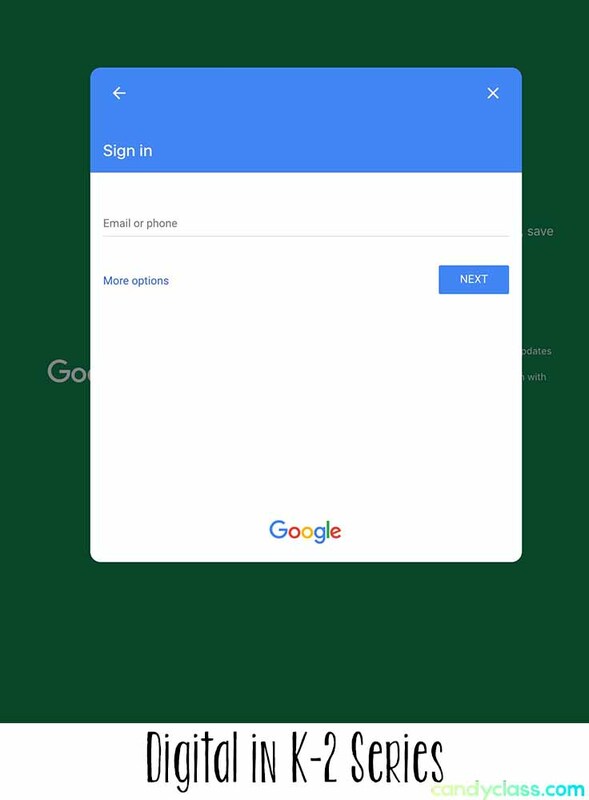 Have the student log into the account, or you log into the student’s account for them from within the Google Classroom app. They can now access their assignments from within the app. However, if you will be using drag and drop features in Google Slides, you will need to go to the next step because it will not work in Google Classroom. 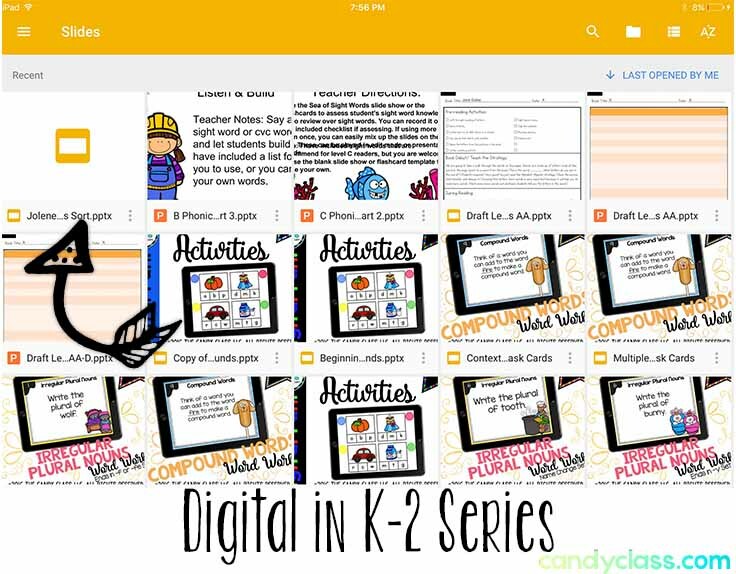 Download the Google Slides app from the app store. This will allow you to use the drag and drop features from within the app. Please note, you will need to log into the student’s account from within this app too. That way, their work can be saved to their drive. They will be able to access their assignment from their drive too. Now, here is where my mind was boggled: I wondered how can an assignment go back into their Google Classroom account? Would students need to know how to send that back? Thankfully, no they do not! Since they are working within their file from within their drive, all their work is automatically saved from within their account! Yay! This leads me to step four. 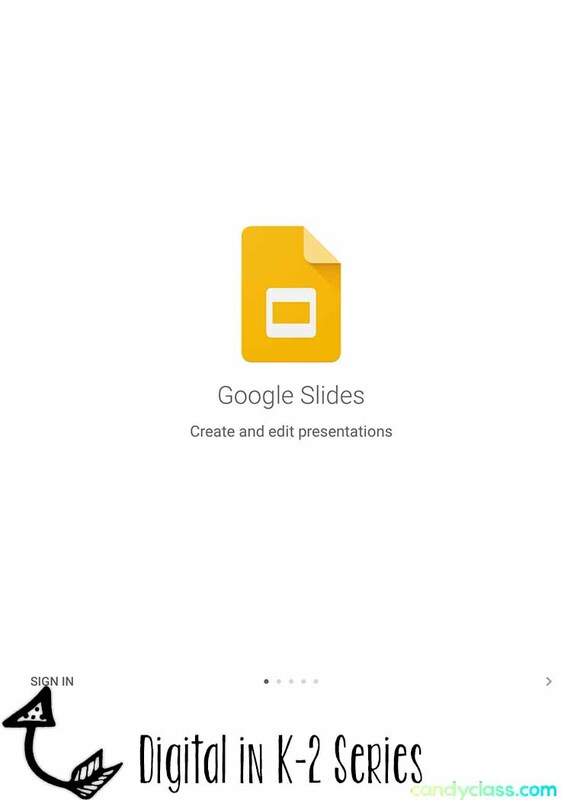 Teach students to go into their drive from within the Google Slides app to access the file. Then teach them how to go back into Google Classroom to submit the assignment once it is complete. And that is it! It is actually not so mind boggling after all. It just seemed that way at first! The technology actually makes things super easy for you and does a lot of the work for you. Now the real mind boggler….what assignments to give students to use all this fancy technology with contentless screens! I hope to write some posts with some helpful ideas at some point later down the road once I mow down some of my to do list more. However, I do have resources already created that you can find by clicking here. If you are new to my blog, make sure to sign-up for email. I have more posts like this planned, and I also have other tips and even some free resources to share along the way.